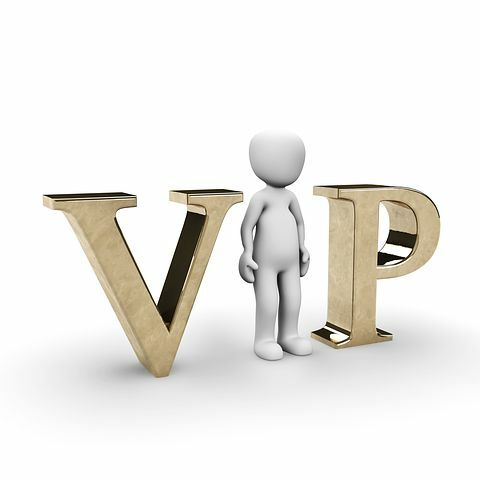 Many of you may have heard the term vip, which is an acronym for very important person/patient, while working as a caregiver. In my opinion, that term does not belong in healthcare. I'm sure many people disagree with me but here's why. What do I mean? Don't pick favorites Don't be nervous Not a big deal? I'm not saying there aren't any very important patients. I'm actually saying the complete opposite. Every single patient is just as important as every other one. You may say, that's just a way of saying nobody is, but I disagree. If someone is in need of our care, then they are automatically important. A patient shouldn't get special treatment because of who they are, what they know, where they come from, or how much money they have. Doing so would mean that other patients aren't getting the best treatment you can give. The truth is, every patient should get the best care you know how to give. They shouldn't be prioritized because of who they are. Prioritization should be determined by what each individual needs, not by their social or financial status. This also means you shouldn't be extra nice to certain patients. That would indicate that you don't treat everyone with the utmost respect and kindness. Even if you can't hardly stand a certain patient, you should still treat them with respect. This is especially true in semi private rooms, or rooms with more than one patient. You may think they don't listen to what is going on behind the curtain, but many of them do. I've even heard complaints about a caregiver not communicating with them as kindly as their roommate. Just like parents who have multiple children, you shouldn't pick favorites. Every one of them should feel like they are your favorite. It would be wrong for them to think otherwise. Your patients shouldn't be any different. Calling a patient vip may also cause some caregivers, especially newer ones, to be nervous around them. Being nervous can immensely affect your work. You are always on edge because you are afraid of offending them. You often become clumsy and even forgetful. It can also affect your communication by putting too much focus on how your behavior is being seen by them. This in turn can cause awkwardness and can make them uncomfortable. The way you treat others should come naturally. It's Not A Big Deal? You may be thinking, I already know this. Why does this matter so much? It's not that big of a deal. To that, I ask, why does this term even exist in our field? Why do I still occasionally hear it being used? How is it not a big deal? If you already know what I am saying is true, then you know why it matters so much. This kind of thinking affects the care we give. Every single patient deserves our top quality care and no caregiver should disagree with that. 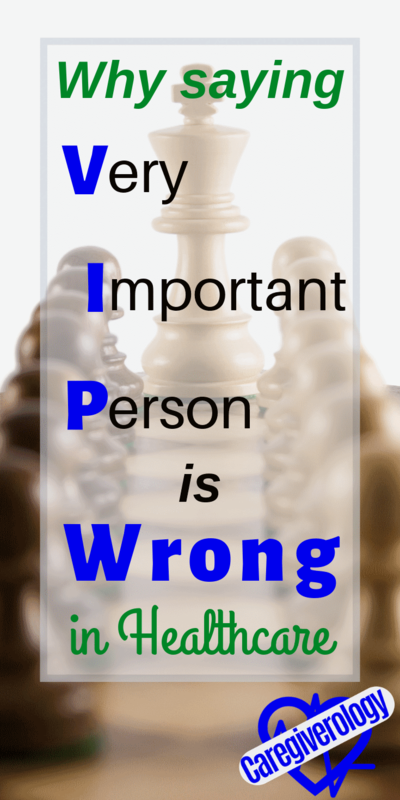 The next time a coworker tells you a particular patient is vip, just politely explain to them that all of your patients are. If you tell them what you mean by that, they should agree and hopefully have a different outlook on the topic as well. If you disagree with me on this, let me know.